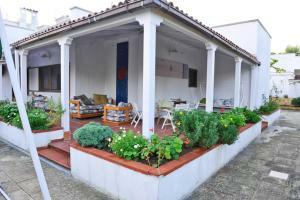 Set in Bari, 13 km from Basilica of Saint Nicholas and 10 km from Fiera del Levante, Bed and Breakfast La Villa features garden views and free WiFi. All units feature air conditioning and a flat-screen TV. There is a private bathroom with shower in all units, along with free toiletries and a hair dryer. A continental or Italian breakfast can be enjoyed at the property. The bed and breakfast offers a terrace. A bicycle rental service is available at this property. 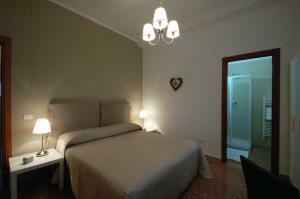 Petruzzelli Theatre is 12 km from Bed and Breakfast La Villa, while Bari Harbour is 12 km away. Bari Karol Wojtyla Airport is 5 km from the property, and the property offers a paid airport shuttle service. When would you like to stay at Bed and Breakfast La Villa ? Rooms are 10 square metres. Each day we'll check prices and send you an email for your selected dates at Bed and Breakfast La Villa. If you don't have specific dates but would like to check prices for say next weekend or say next month we can check the price too. Click to write a review and share your experience of Bed and Breakfast La Villa with other travellers.